MySchool MyVillage MyPlanet is one of South Africa’s biggest fundraising programmes, raising over R3 million every month for over 9000 schools, charities and animal welfare or environmental organisations. MySchool MyVillage MyPlanet allows you to make a difference just by shopping, becauseevery time you swipe your card at any of our 12 national or numerous local partners they’ll make a donation on your behalf to the school or cause you choose at absolutely no cost to you! 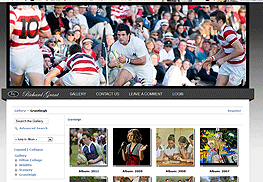 The School Communicator is a lightweight application that runs on every parent's computer. Information is automatically updated every time the school adds new content, even when the Communicator is not currently running. The Communicator launches every morning, so you as the parent will see our school news at least once a day. The Communicator can also be launched at any time by clicking on the desktop shortcut or via the Start menu. 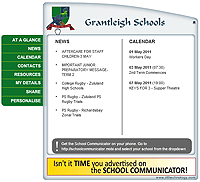 Once you have installed the School Communicator, please be sure to click on Personalise in the left-hand menu, to receive only news relevant to you.